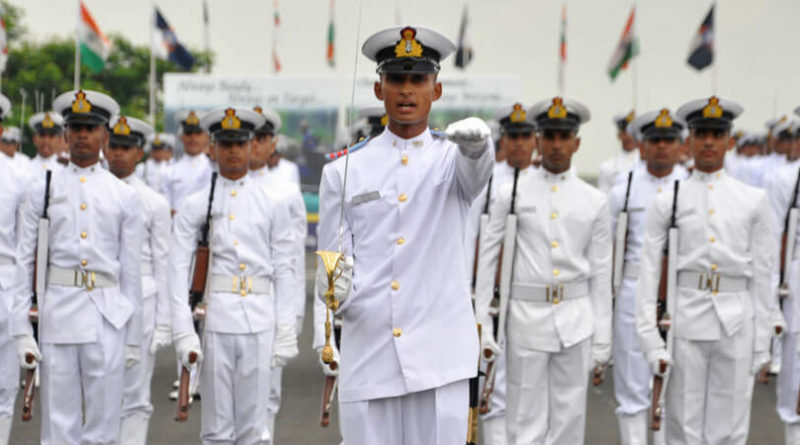 Join Indian Navy: Indian Navy invites Online application for Unmarried Male candidates for enrollment as sailors (Approximately 2500 vacancies) for Senior Secondary Recruit (SSR), batch commencing in Aug 2019. Date of Birth Block: Candidates should be born between 01 Aug 1998 to 31 Jul 2002 (Both dates inclusive). Educational Qualification: Candidate should have passed Intermediate/10+2/Class XII or Equivalent Examination with Maths and Physics and atleast one of these three subjects: Chemistry/Biology/Computer Science approved by Central/State Education Boards. Weight & Chest: Proportionate to height. For General: Fee of Rs. 205/- is applicable. For SC/ST: Exempted from payment of fee. 100 Objective type Questions (01 mark each). Four sections: English, Science, Mathematics and General Knowledge. Compulsory to pass in all sections and in aggregate. Negative Marking: one fourth (0.25) of the marks will be deducted as penalty for every wrong answer. 1.6 Km run within 7 minutes. 14 December 2018: Online Application Begins. 30 December 2018: Last Date to Apply Online. During the initial training period, a stipend of Rs. 14,600/- per month will be paid. On completion of training, Candidates will be placed in Level 3 of the Defence Pay Matrix (₹ 21,700- ₹69,100). In addition, they will be paid MSP @ ₹ 5200/- per month plus DA (as applicable). 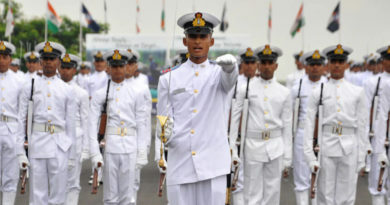 To join Indian Navy, Only Online Applications are allowed on the official website www.joinindiannavy.gov.in. Scan and Upload the documents. Select the examination venue and complete the registration. Admit Cards are scheduled to be downloaded from the website tentatively by end Jan 2019. 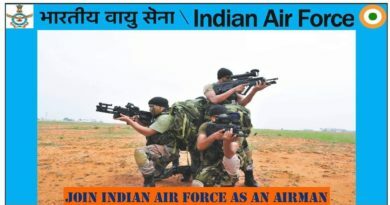 To Join Indian Navy, Check Detailed Advertisement Here.